Chapter 1 | Back to the Future: An Introduction to Old School Magic! As the game of Magic races deeper into its third decade, a wave of nostalgia has seized of the imagination of its players. Magic aficionados have always lived comfortably in the future; they’ve always been future oriented. As a game, Magic is fun, quick to learn, and endlessly iterative, a feature that supplies boundless replay value. For those reasons, Magic players are oriented toward the next game, the next event, and the next set. Yet the gradual and progressive aging of the game has left behind with a rich and fascinating history. Eventually, new players wish to learn about the great decks of old, the mysterious cards of the past and the metagames they defined. Veteran players look back on earlier eras wistfully and with great fondness. Collectively, there’s a desire for more knowledge of the early history of the game. There’s no repository for that history. There’s no single place to go to satisfy our curiosity. The game’s formative years, especially, remain under a shroud of inscrutable sources, and disparate and disappearing weblinks. And yet the history of the game is hidden everywhere, transmitted at a level below conscious awareness. Consider the iconography of the early game. This imagery provided an indelible foundation from which its designers and artists poured their creative energies with enduring influence. That foundation is not just on the cards themselves from card backs to mana symbols and borders, but is hidden in plain sight. It’s in magazine art, website backgrounds and wallpaper, forum banners, streamers, posters, and much more. The game’s thematic allure, iconic imagery, and classic art have subconsciously implanted the seeds of nostalgia by embedding a desire to seek out these elusive yet compelling visions. 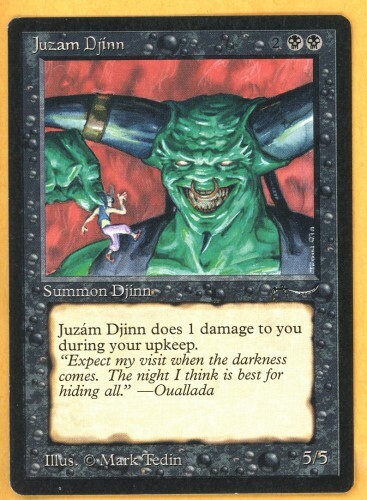 Perhaps the grinning visage of a demonic Juzam Djinn is vaguely recognizable to Magic players who can’t pinpoint its source. These images implanted themselves in the minds of all who encounter them. Can we doubt that Shivan Dragon soars through the subconscious of the Magic dreamscape, not just the cover of Revised rulebook? It is little wonder that nostalgia is a gravitational force pulling in all who have encountered the game of Magic. We might scratch that itch by trawling through ancient weblinks or scouring decrepit and archived forum boards, but there is a better way. What is Old School Magic? 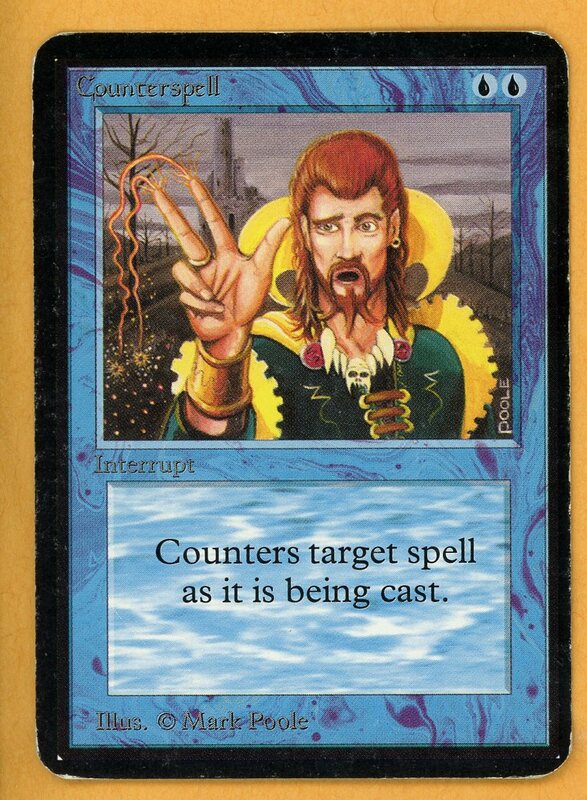 The most well-known expression of Old School Magic is: 93/94. This is a format devised by the Swedes to experience Constructed Magic just before Fallen Empires hit the shelves. As the community supporting this format has grown, the format has taken a life of its own and evolved with radical changes to the Banned and Restricted List. This particular variant is thoroughly flavorful, although more exclusive, as it frowns on white-bordered reprints and doesn’t permit any printing beyond 1994, not even Chronicles, 4th Edition. It doesn’t even permit some sets from 1994, such as Revised. This version of Old School Magic has a vibrant website with an active, and growing, community of players eager to not only show off their creativity, but their collections as well. The Swedes were not the only players struck with that impulse. 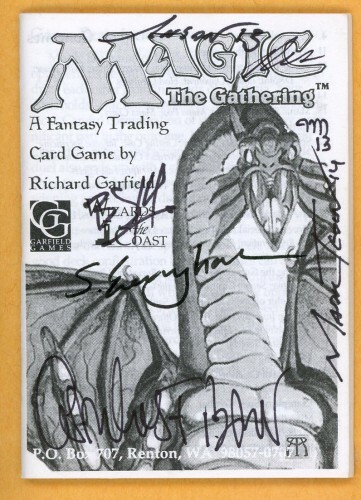 One of the first areas to hold Old School Magic events was Mr. Nice Guy Games in Pennsylvania. 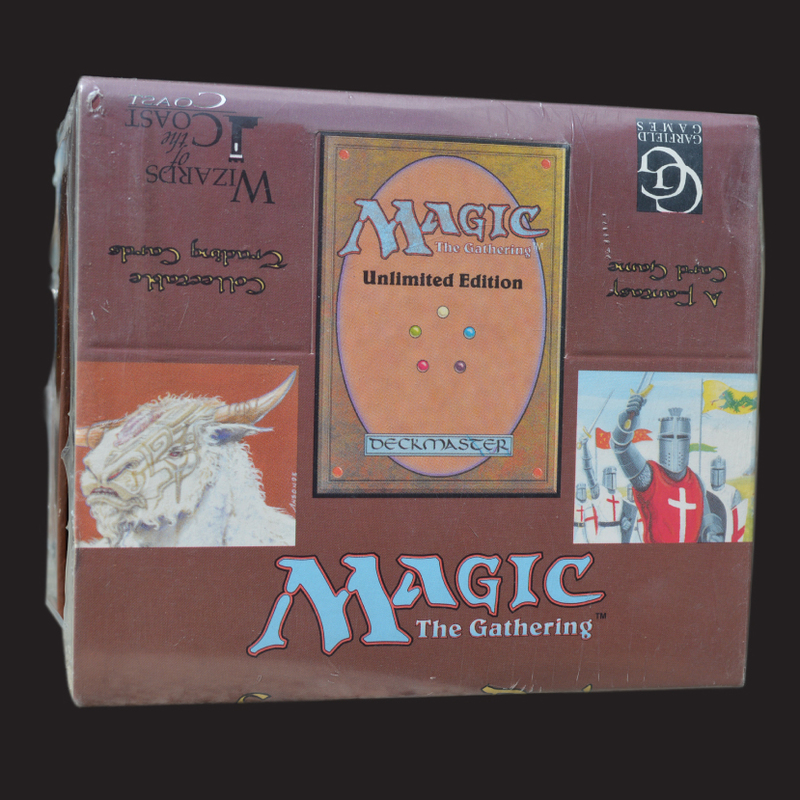 Mr. Nice Guy Games held two Old School Magic tournaments, calling them “Throwback” tournaments, in 2010. Other groups have emerged elsewhere. A group in Toronto sprung up, and even replayed the first World Championship match, then repeated it to a total of nearly 30 games. More recently, a group of players, including myself, organized “NorCal” Old School Magic events in 2014 initially modeled on 93/94 with a few tweaks including allowing Fallen Empires. The folks at Eternal Central have now hosted two marquee events, with the most recent featuring over fifty players! New communities of Old School interest are popping up every day. It cannot be coincidence that players from all over the globe have struck upon a similar idea, and carried it out with different levels of interest and forms of implementation. The aesthetics, flavor, and pure fun of the early game is a big reason behind Magic’s eventual success, and it’s not surprising that many Magic players are drawn towards it. Old School Magic is a format where, as William Faulkner famously wrote, “The past is never dead. It’s not even past.” Old School Magic not only satisfies curiosity of the past by allowing players to relive it, but actually brings the past into the present. It gives the past present value. Far better than merely reading about it, experiencing Magic as it once was in some or many respects creates an appreciation for the game, a new way of looking at it, and understanding its evolution. The appeal of Old School Magic goes beyond satisfying pangs of nostalgia; it delivers some of that magic you can’t find in the modern game. 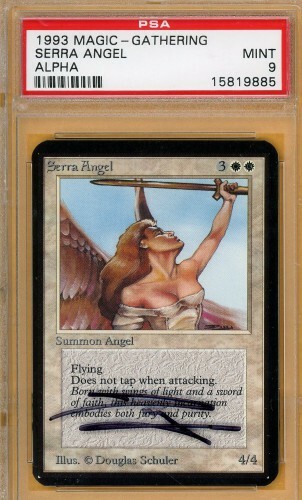 There is an undeniable “coolness” factor to Old School Magic cards that isn’t captured by the modern game. Who wouldn’t want to play Matt Hyra’s “Turn One Terror”? The deck earns its name from its capacity to resolve a huge monster on the first turn with Dark Ritual. Matt Hyra won a string of local tournaments in 1994 and 1995 with this deck, and designed it to combat blue control decks of the era in the Seattle area. The coolness factor is not restricted to Type I decks of the era. Consider the deck that Henry Stern used to Top 4 the 1995 Magic World Championship with. 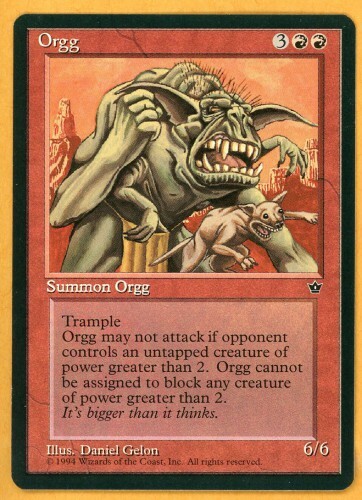 Who wouldn’t want to play with Orgg? This deck has it all: card drawing, mana acceleration, huge monsters, and spells that blow up the world. 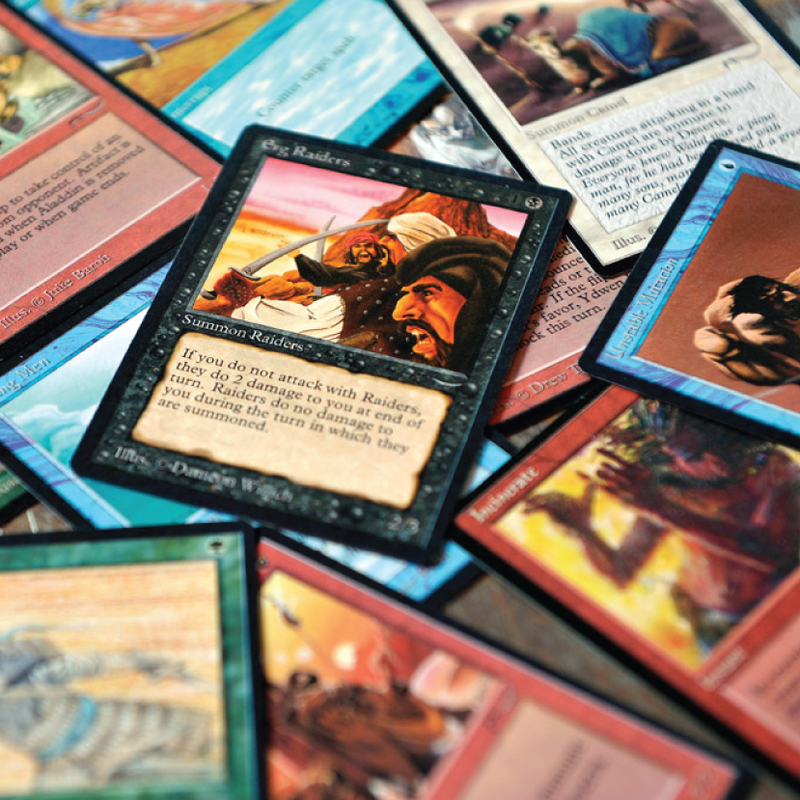 Old School Magic satisfies the desire, like Cube, to play with the best cards ever printed, but in formats that play a more deliberate pace, more diverse, and far different than any contemporary sanctioned constructed format. 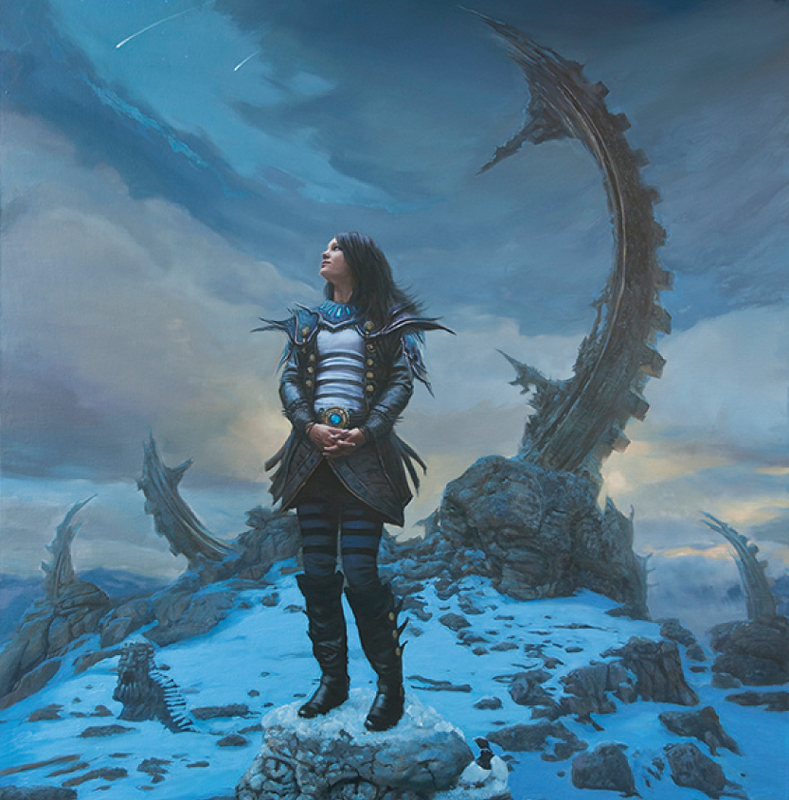 Players today are accustomed to cookie-cutter archetypes and mechanic-based strategies. Even though the card pool is far deeper and set design is far more sophisticated, there are dimensions of play and angles of attack that are largely absent from contemporary Magic. When was the last time you faced a strong land destruction strategy that was designed around actually destroying your lands, not simply making your spells more expensive to cast? When was the last time you faced a dedicated discard deck that squeezed the life out of you with The Rack? 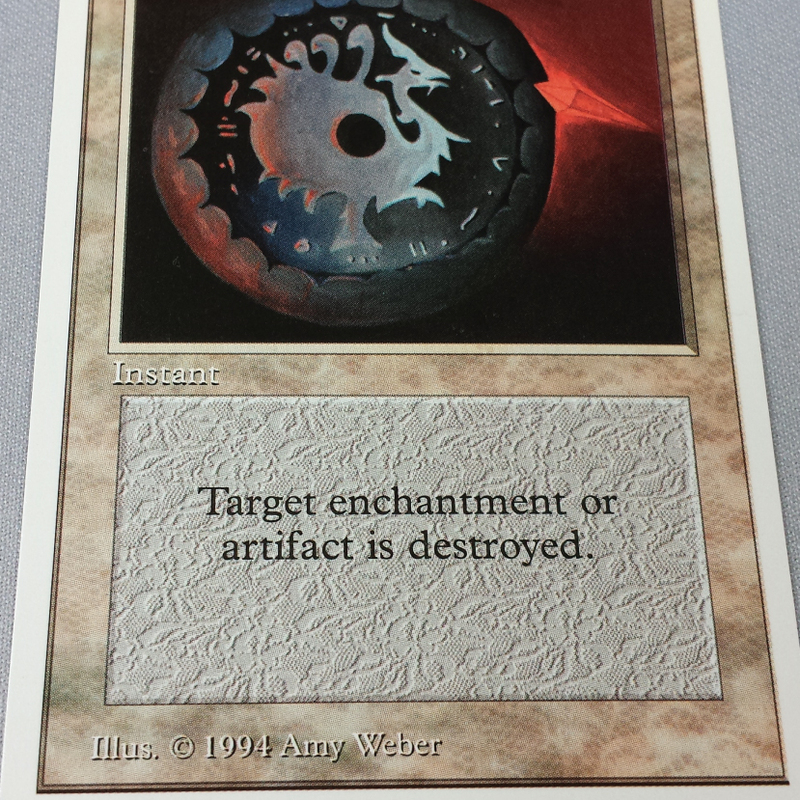 Discard and land destruction strategies were two prominent strategic approaches in Constructed Magic in 1994-96. In his book Deep Magic, George Baxter describes Burn decks, Counterspell decks, Fast creature decks, Hand Destruction decks, and Land Destruction decks as the “five basic decks for Type I.” How far we have come in terms of archetype definition, but in the process, something may have been lost. 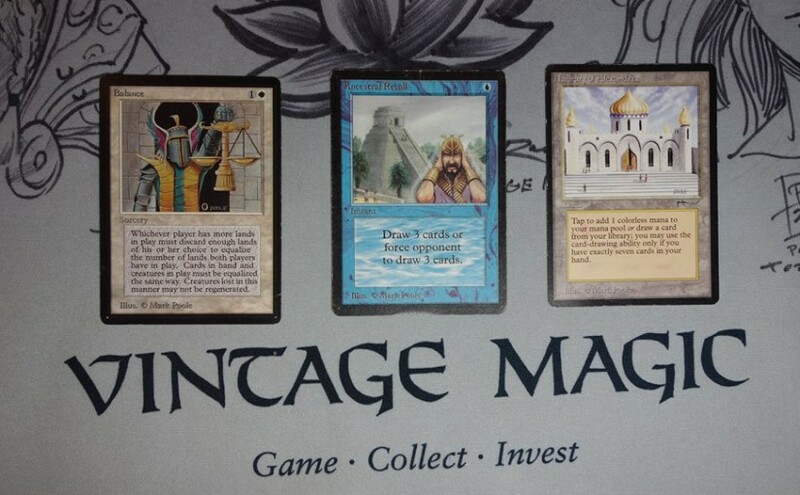 Old School Magic is a format where unique strategies and stunning lines of play are experienced that can be found no where else in Magic. 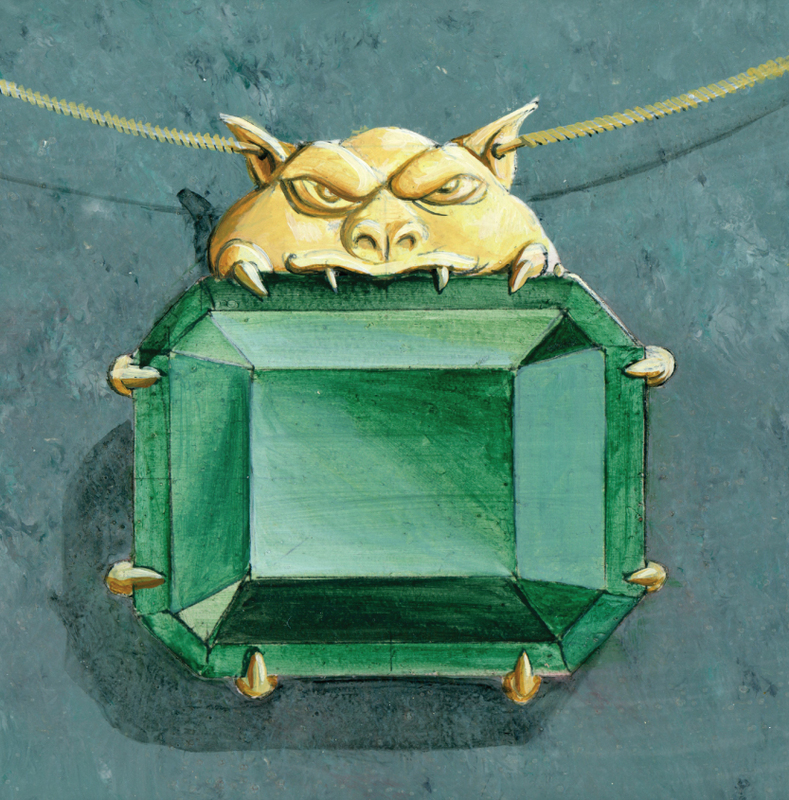 The strategies of Old School Magic evolved beyond the wildest dreams of the game’s designers long before Wizards institutionalized a Research and Development department whose playtesting and design eventually shapes the real-world metagame. Odd ball cards like Illusionary Mask and whimsical mechanics were ubiquitous in Old School environments that would never make it past the design stage in today’s carefully pre-packaged and consumer tested menu of Magic offerings. Old School Magic feels like an untamed animal. The strategies that emerged were a product of player invention and ingenuity rather than designer synergies and psycho-graphic profiles. Old School Magic may simply seem like another outlet for playing the game’s most broken cards, but what’s most astonishing is how fair the format is despite the seeming brokenness. The best cards in the format are not those that end the game on Turn 1, but rather cards like Mind Twist, which is not even restricted in Vintage today. Even cards like Necropotence seem relatively innocuous when the best thing you can do with it is pump out fast creatures or one-for-one land destruction spells. This was a once feared Type I Necro deck from 1996. Try THIS Against The Deck! 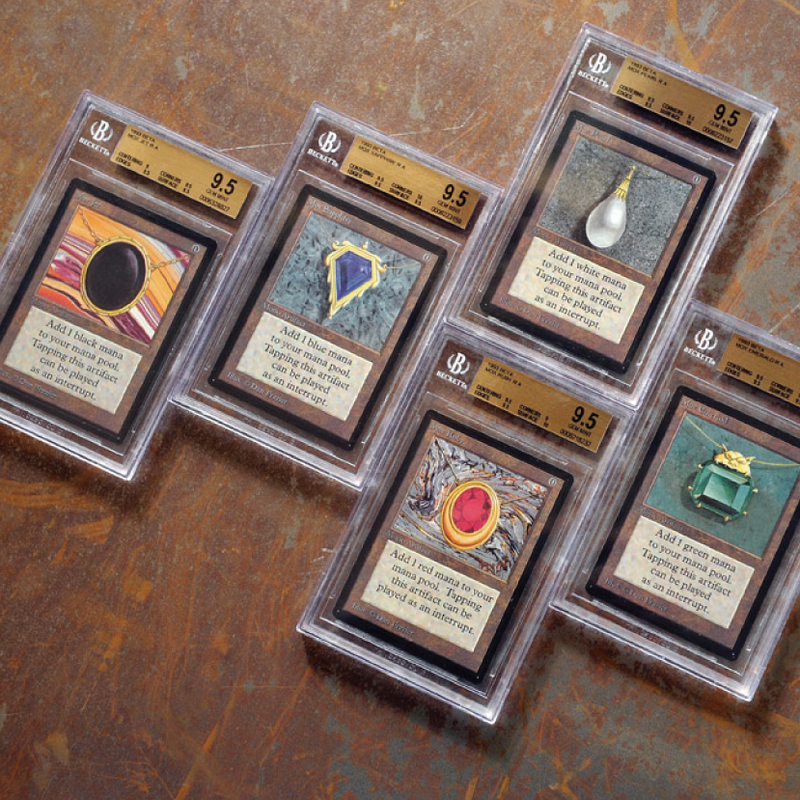 More important than playing with the best cards in the game in a fair format, Old School Magic offers a context for playing with some of the most iconic cards in the game at the height of their power. Juzam Djinn hasn’t seen a hard day’s work in professional hands since the 1990s. Cards like Icy Manipulator control games, Thunder Spirit defines value and efficiency, and Underworld Dreams is a deadly menace. From this historical vantage point, it may be difficult to appreciate the strength of these cards. Contemporary players may wonder how the reprinting of Icy Manipulator in Ice Age could have aroused so much excitement or how Serra Angel could have dominated a format as powerful as Type I, yet in their context, their power was palpable. A turn one Hypnotic Specter, unanswered within a turn or two, takes over games. 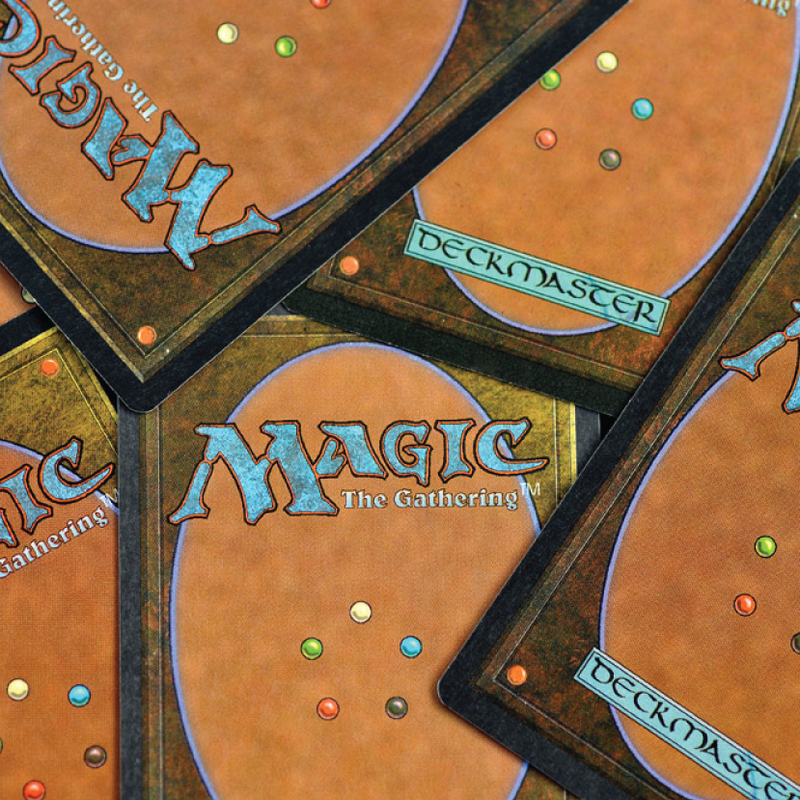 Old School Magic is not only an arena where iconic cards shine, but iconic strategies as well. Who wouldn’t want to give this a spin? More has been written about “The Deck” than perhaps any other single list of cards in the history of the game. In the next article in this series, I will dive into the history of this famous archetype, and for the first time ever I will show you every single published change Brian Weissman made to his famous creation, and the reasons for them, from 1994 to 2006. If you still need a reason to try Old School Magic, here’s one more consideration. Old School Magic generates a unique pace, feel, and game flow. 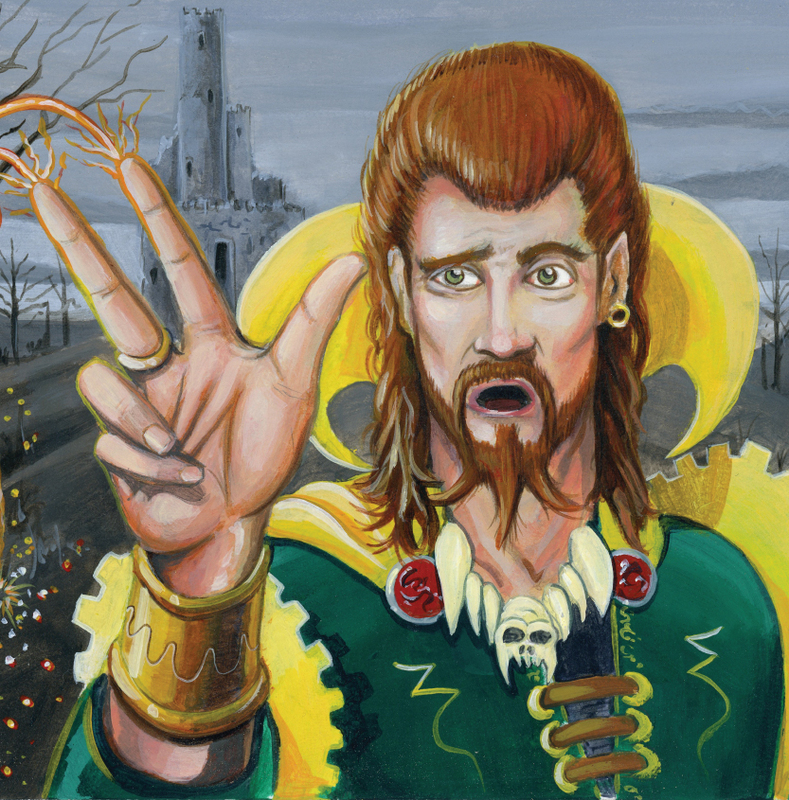 Beyond the fundamental strategic differences between Old School Magic and contemporary Magic already noted, Old School Magic is the only place to capture the very different feel of playing Magic in the early years. It was a game with less search capacity, less fixing, and perhaps more emphasis on bluffing and careful use of every resource available. Yet it was no less intense. With Old School Magic, the tension of every draw step is felt more deeply, as you prayed one turn at a time, for that miracle answer. In this way, Old School Magic illuminates the significance of subsequent printings. Eternal formats of the modern era are dominated by the principles of Alan Comer’s Turbo-Xerox and Grow strategies with cards like Brainstorm, Ponder, Sensei’s Divining Top, and Preordain everywhere and free countermagic abounds. Returning to a time before Fetchlands with cantrips like Brainstorm and free countermagic, you not only perceive the cards around them differently, but come to appreciate how these cards accelerate the game and change the ebb and flow of normal game progression. Tempo is fought for and achieved with skillful play, not adhering to a set of design principles. Old School Magic is a format where draw steps are filled with hope and wonder; where nothing can kill you outright, but danger lurks around every corner. How Can I Play Old School Magic? Build Old School Decks! The first step to playing Old School Magic is building 2-3 Old School decks for you and your friend(s) to play. I recommend starting with three decks so that you have one to rotate in as soon as you get bored with the first match. However, this advice is harder than it seems. 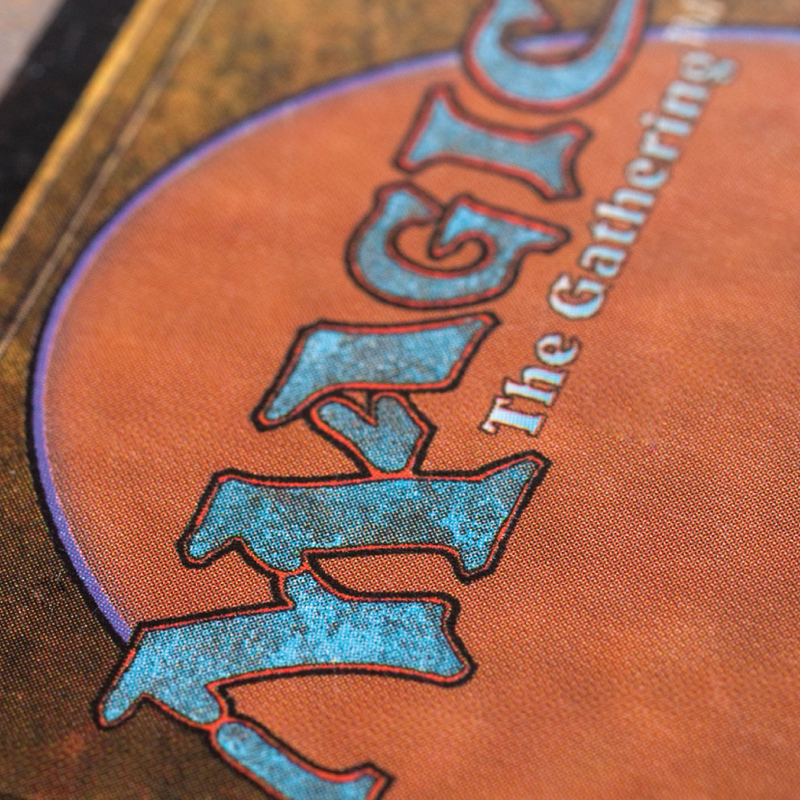 The challenge to playing Old School Magic is the dearth of information about Old School decks. That’s the reason for this series. Beyond the challenge of simply finding Old School decks is the even harder challenge of finding optimal decks. The decks that were played decades past appear suboptimal from our historical vantage point. Yet this is also an opportunity. Old School Magic is a class of formats that were never fully solved. 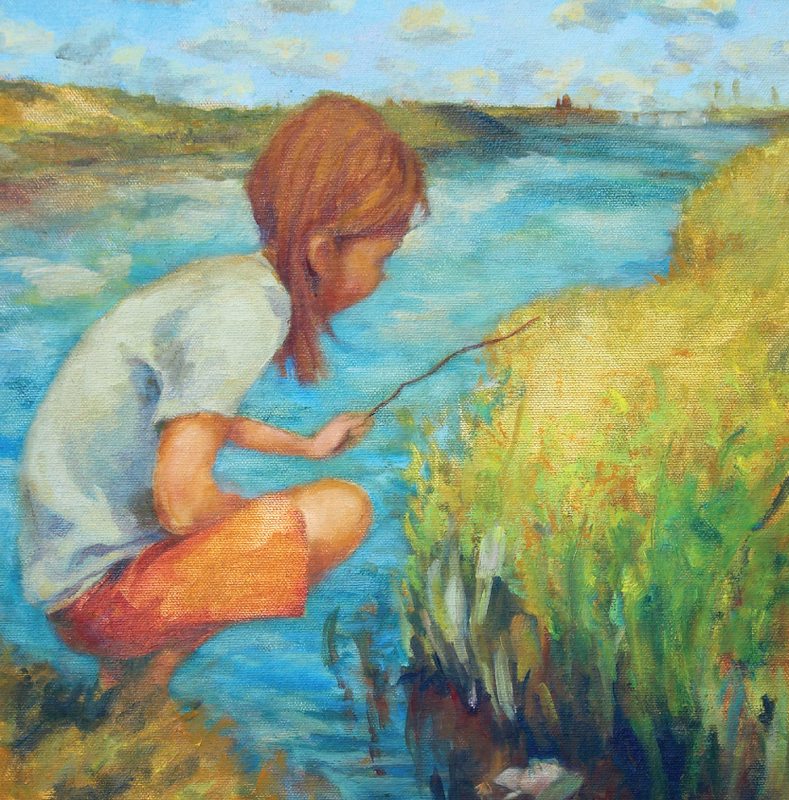 There remain untapped synergies and unchartered waters to be explored. In this series, I will be your tour guide. I will share with you strategies, approaches, and modes for enjoying and playing Old School Magic, and point out some notable features along the way, but it’s ultimately a trip you’ll have make yourself. What sets should be permitted? Which Banned and Restricted list should be adopted? Which set of game rules should be employed? First, let me say that this is not a test — there are no ‘right’ or ‘wrong’ answers here. Old School Magic is designed to be fun! That said, answering these questions is more complicated than may be apparent. In fact, they implicate the entire history of the game! Future articles in this series will address each topic exhaustively. But for now you need to understand at a basic level why each question matters. Which Sets Should Be Allowed? The sets that you permit will influence every other decision you make, and will shape the feel of your format and structure and condition the range of strategic possibilities. For that reason, you and your friends must evaluate which sets you wish to permit. 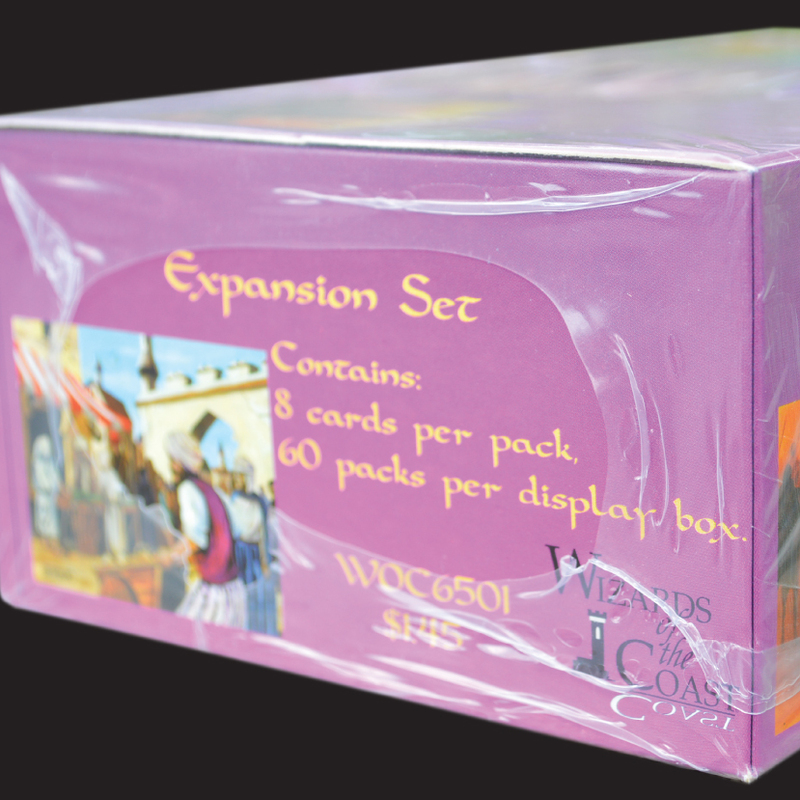 Die-hard Old Schoolers, like the Swedish Group Magic 93/94, only permit sets up to The Dark (Alpha/Beta/Unlimited, Arabian Nights, Antiquities, Legends, and The Dark), and exclude Revised. Since Revised was on the shelves in the Summer of 1994 and only features reprints from those sets, I would encourage anyone permitted Alpha, Beta, and Unlimited to also permit Revised so that the format is not quite so expensive to play. 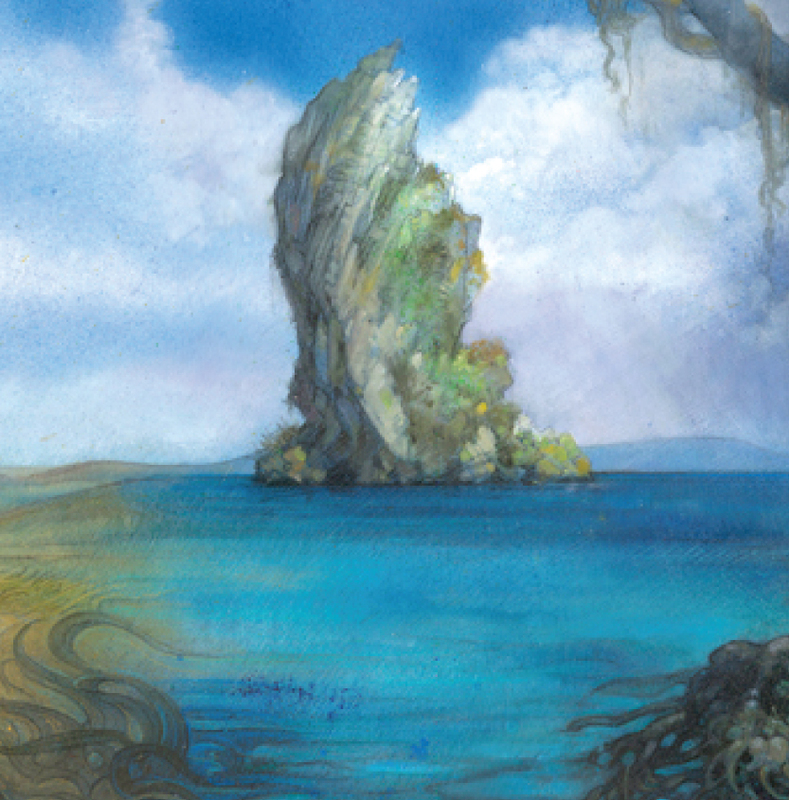 Dual lands are an important building block of the format, and Revised has the least expensive dual lands. One of the most debated issue is whether to allow Fallen Empires, which was released in December 1994. Fallen Empires increases the viability of weenie strategies (like mono black or mono white) while also providing another potent discard spell in Hymn to Tourach. Fallen Empires is frowned upon for being “unpimp,” but it enhances the strategic diversity of the format without pushing it too far beyond the core flavor of earlier sets. The Mr. Nice Guys Games “Throwback” tournament permitted not only Fallen Empires, but Ice Age released in June 1995 as well, as did a recent “Conference of Professionals” held in Brooklyn. As Paul Montesanti’s list above suggests, Ice Age introduces some incredible new strategic options like Necropotence. Ice Age brings with it the first cantrips, more card draw and selection, and a number of new tactics (Jester’s Cap, anyone) without diluting the feel of the Old School format too much. Chronicles is decidedly “unpimp” but goes even further in giving players critical tools for deckbuilding like City of Brass, Erhnam Djinn, and Blood Moon reprints. If you are more interesting in creating the “feel” of the early game, I would encourage you to permit Chronicles as well, which was released in July 1995. Although Homelands was released in October 1995, it is widely considered among the worst sets in the history of the game, and is so unimpactful that it is largely irrelevant. 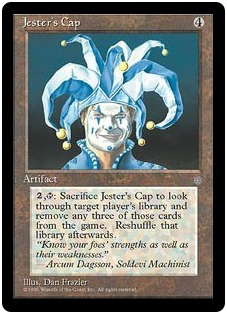 The next set that matters is Alliances, which wasn’t released until mid-1996. Players interested in experiencing the feel and strategies of the earliest Constructed Magic formats will probably draw the line somewhere between Fallen Empires and Alliances, although that is just the beginning of the range of possibilities. You have ultimate freedom to include or exclude sets to build your preferred environment. (2)Which Banned and Restricted list Should be Used? For Old School groups that wish to more strictly adhere to historical precedent, this Banned & Restricted List is probably the place to start. While using a historical Banned & Restricted List is often the simplest answer to the question under consideration here, it may introduce anomalies. One obvious problem is that Balance and Fork are absent; they were not restricted until April, 1995. 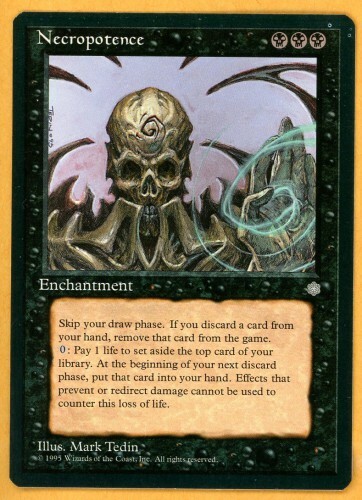 Since no sets were printed in that time other than Fallen Empires, which left no cards on that list, you could, in theory, use the April 1995 Type I Restricted List for a format that permits sets only as far as The Dark (or, in other words, the November, 1994 Constructed Magic Banned and Restricted List, since Type II had not yet been created). You may yet find that, too, is not quite adequate. You may find that other cards are not restricted that should be, or that cards are restricted that shouldn’t be. While I have great respect for the Restricted List of that time, Strip Mine is not the most fun card to have unrestricted, and you may decide that Mana Vault is not a card you want to leave unrestricted. 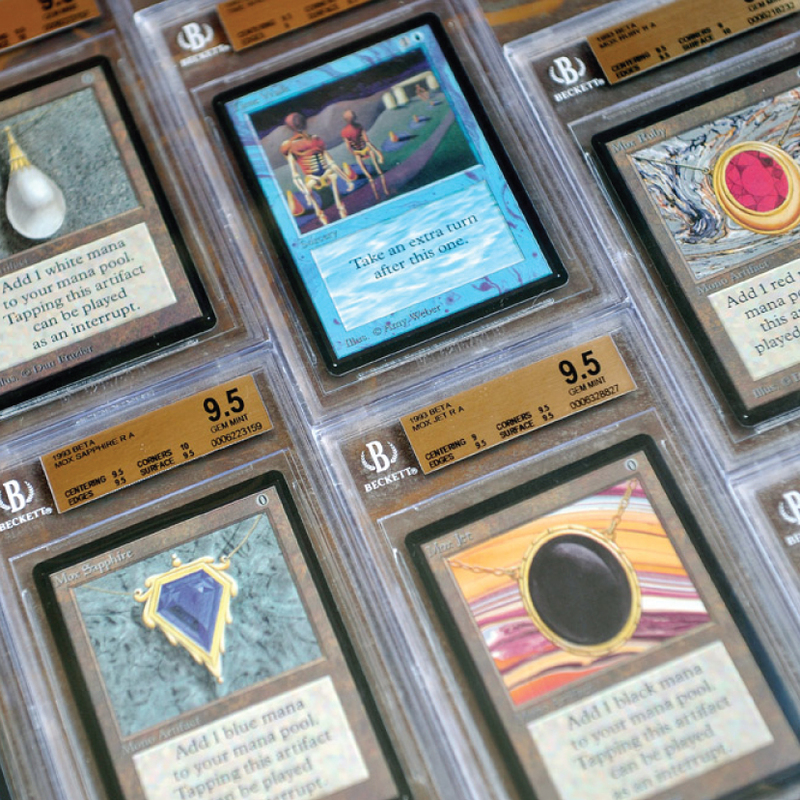 It is notable that Mana Vault was not restricted until 1999! Perhaps more importantly, there are probably cards on that list that do not necessarily deserve their designation, especially under contemporary rules because the reasons for restriction may no longer exist. 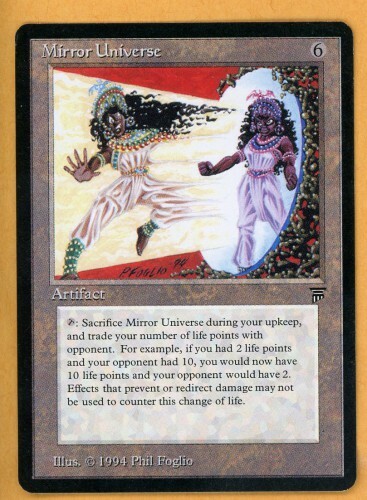 As I will explain in a moment, rules changes have dramatically changed the power level of cards like Mirror Universe. And cards like Shahrazad, Ivory Tower and eventually Zuran Orb were restricted because they extended games too long. That may not be an overriding consideration for you and your friends. Sword of the Ages and Ali From Cairo are probably not even worthy of restriction regardless. 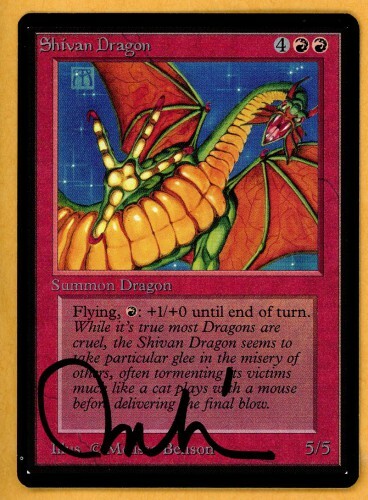 Similarly, there were cards that were feared at the time but may be worth permitting for fun’s sake. 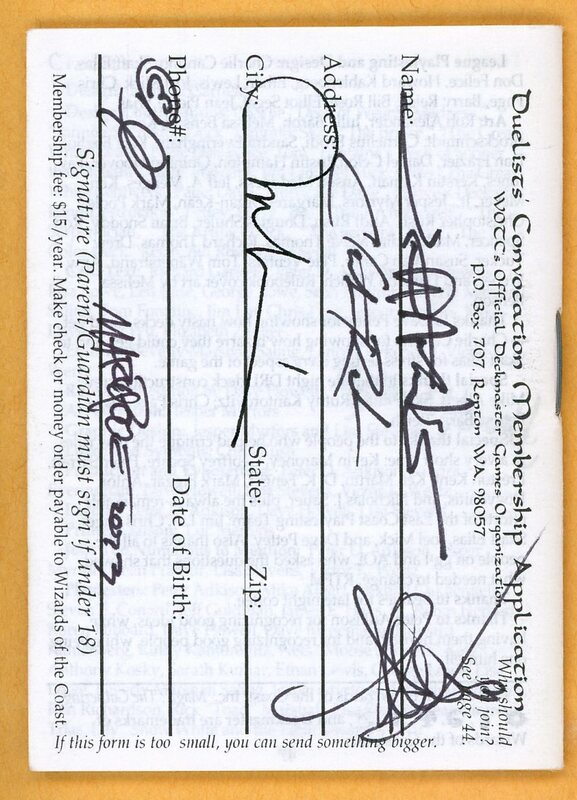 The 93/94 community permit four Berserks. I’m all for permitting players to cast Berserk on a Blood-Lusted Ball Lightning. Magic just seems more fun that way. After all, how much fun would Granville Wright’s famous “Explosion” deck be with 4 Berserk? This is certainly a consideration for any Old School Magic Gauntlet. While I encourage respect for the Duelist Convocation’s early Banned and Restricted List (they were much smarter than we give them credit for! ), you should feel free to tailor the Banned and Restricted List in other ways. The 93/94 community adopts the modern philosophy of not banning cards for “power reasons,” which means that Time Vault is here in all its glory, except that taking infinite turns with Time Vault is much harder than it looks! There are a number of notable differences among historical Banned and Restricted Lists and those employed by Old School Magic communities, which I will cover in the Chapter 3 in this series in more detail. 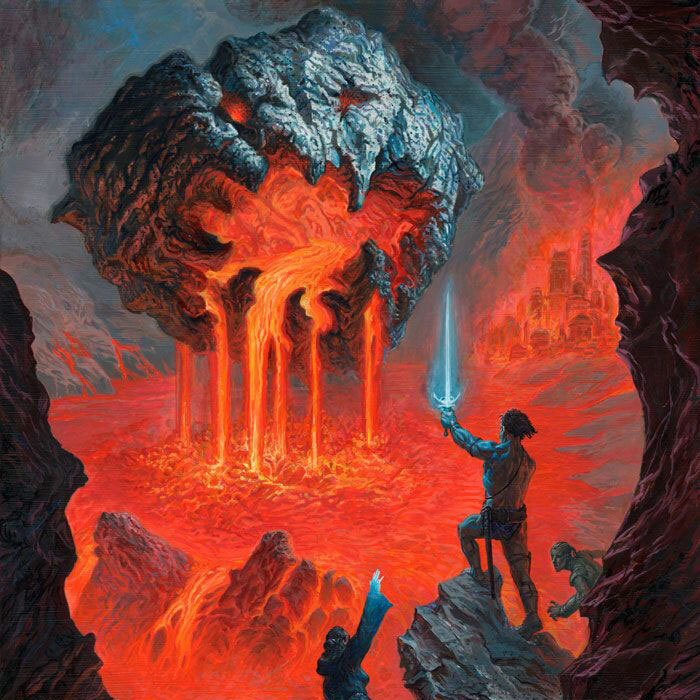 For now, it’s important to be aware that there is debate and disagreement over a number of issues, not just staples like Strip Mine and Mana Drain. (3) Which set of games rules should be used? With 6th edition rules, it no longer was possible to use Mirror Universe as a win condition. Under pre-5th Edition rules, reducing a player to zero life or below did not result in losing the game until the end of a turn phase such as the end of the upkeep. 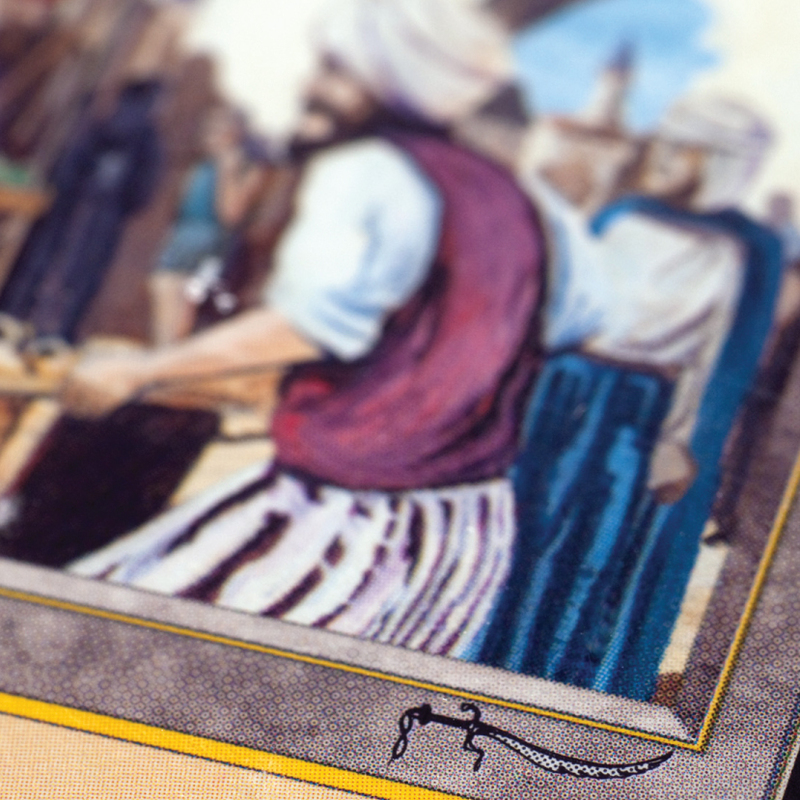 Therefore, a player at one life could activate a City of Brass (or Necropotence), going to zero life, and then activate Mirror Universe to switch life totals and cause the opponent to lose the game. Rules errata eliminated this route to victory, and Mirror Universe was promptly unrestricted. Do you want mana burn? Do you want interrupts to work as interrupts (a discontinued card type I’ll explain in future articles)? Do you want to use The Stack or The Batch? Do you want to use the no-land mulligan rule? Do you want to use the new “scry” mulligan rule? Just to take the first question, you may not see what the big deal is, but the power level of cards like Su-Chi and Mana Drain are dramatically affected by the presence or omission of mana burn. And, under Fourth Edition rules and the Batch, playing a Lightning Bolt in response to a Giant Growth on a Scryb Sprites would not kill the Sprites (I’ll explain why this is in Chapter 10). For now, many of you may simply want to apply contemporary rules for ease of use. But, in the long run, you may want to carve out careful exceptions. 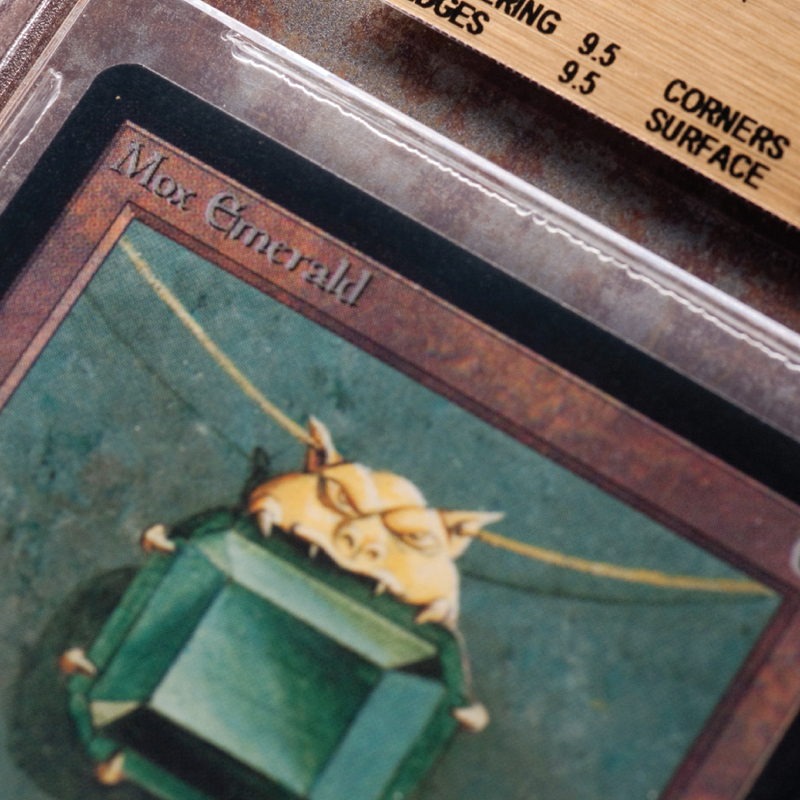 There is a desire in some quarters for greater standardization of Old School formats. The reasons for this are natural: it would mean that players could travel from community to community with roughly the same strategy in hand. Yet, the strength of Old School is actually its diversity. Old School Magic encompasses almost any historical or historically derived format, and part of the fun of the format is adding sets, unrestricting cards, and constantly experimenting. In fact, this is the best way to “spice up” a stale Old School metagame. 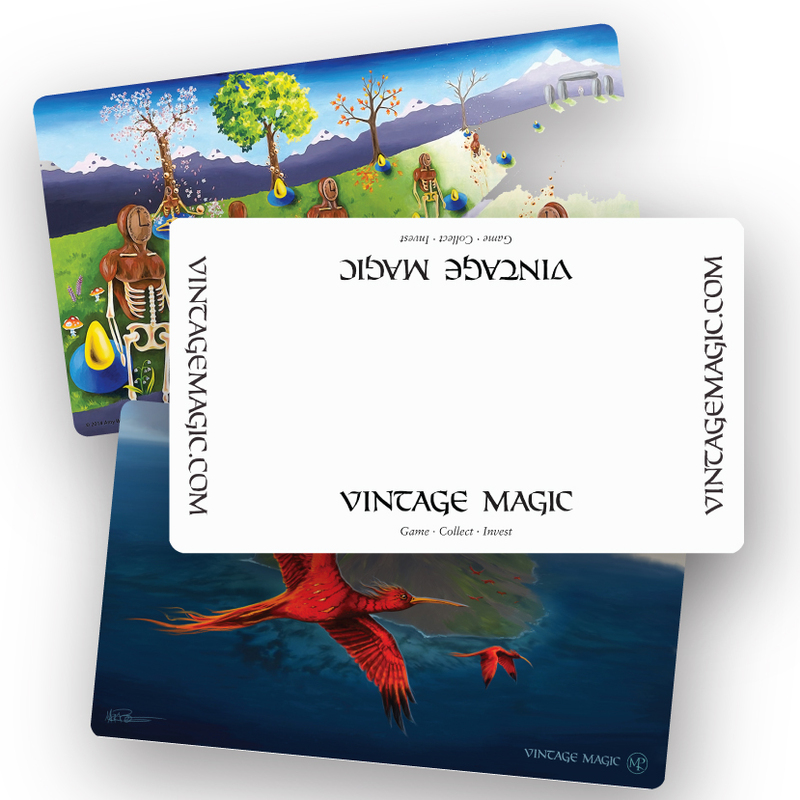 Contemporary Magic format’s are continually renewed by fresh printings. For Old School players, a dash of Fallen Empires or a bit of Ice Age can really shake things up. The possibilities for Old School enjoyment are as varied as the game itself, and we are finally beginning to realize them. This is just the beginning of the age of Old School. Old School Magic is an opportunity not only to learn about Magic’s past, but to experience it. It is a class of formats that permits many of the best cards in contemporary Vintage, but in an environment as diverse and interactive as any conceived, yet slower and less tempo intensive than contemporary Eternal formats. To get started, build your favorite decks and relive your favorite historical moments with your friends. I hope this article has adequately whet your appetite because the decks and stories coming in future articles will blow your mind. Up next? 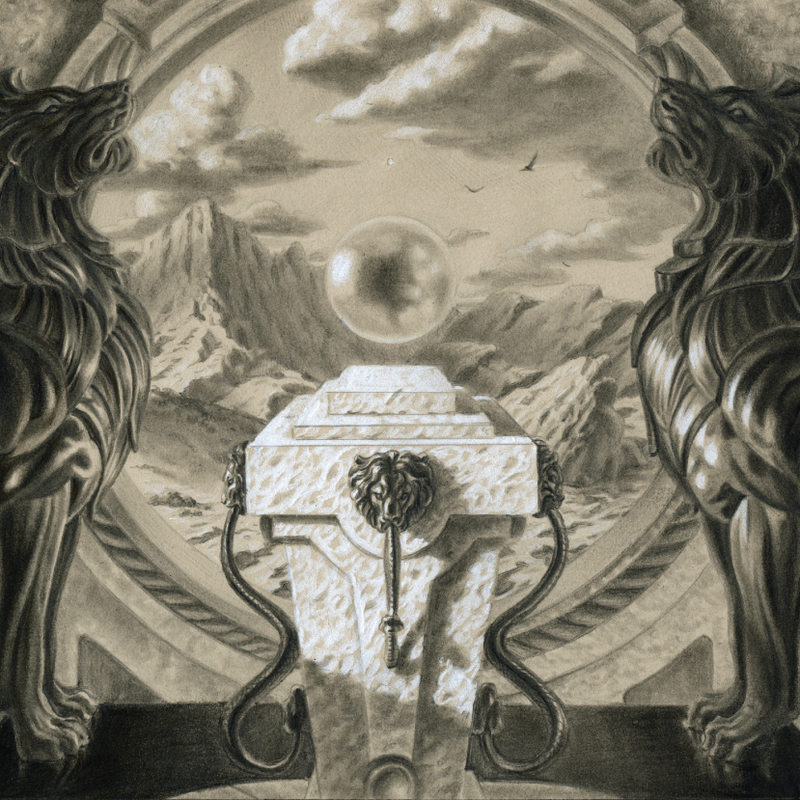 The untold history of The Deck, and a look at The Deck in contemporary Old School Magic. Wonderful article, LOVE the old deck lists. I was a kid and only played casual and booster drafts from 1994-1999 so I never experienced higher level old school Magic. Great stuff! I just got some cards in mail today that I haven't held since mid 90's, feels awesome! (Armageddon, Jovial Evil, Erhnam Djinn, and so on). Looking forward to the rest of the chapters. I invented a format wich is played for few years in our area. Legal Set: The dark to Weatherlight. Banned: all ante cards and mind twist. Restricted: all rare (if a card is rare in ONE of those set, consider it as rare), Demonic tutor, regrowth, strip mine, mishr'as factory, sol ring, force of will. This format is great and original. Great read Stephen. I recently dug out my old collection and started selling/trading to get back into Magic (old school). Looking forward to the next article already.